Interpark shall not be held responsible for the validity of the information of products registered and available for sale on the Interpark website as it has been presented by sellers. 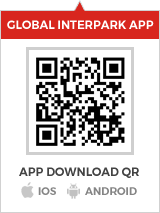 Copyright © Interpark Corporation. All rights reserved.